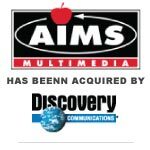 Berkery, Noyes & Co. handles sale of AIMS Multimedia to Discovery Communications - Berkery, Noyes & Co., LLC. 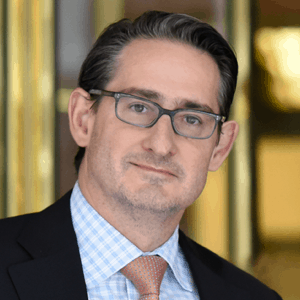 New York, August 16, 2004 — Joseph W. Berkery, President of Berkery, Noyes & Co. LLC, announced today that his firm represented AIMS Multimedia in its sale to Discovery Communications, a leading global real-world media and entertainment company. AIMS Multimedia is an award-winning producer, publisher, and distributor of educational programs—including the DigitalCurriculum video-on-demand service—based in Chatsworth, CA. This acquisition brings exciting new content and services to the expanding digital library of Discovery’s newly formed Discovery Education business unit, extending its leadership position in digital video and multimedia-based learning. Founded in 1957, AIMS Multimedia is a leading publisher and distributor of more than 8,000 educational and training multimedia programs for schools, hospitals, public libraries, colleges and universities, businesses, law enforcement agencies, health departments, and other government agencies. The company’s video programs have received more than eight hundred awards from worldwide festivals, including the International Film and TV Festival of New York, the London Film Festival, Vancouver Film Festival, Australian Cinema, CINE, Parma, American, Columbus, National and Birmingham international film and video festivals. AIMS programs have also won the prestigious Emmy, Oscar, and Peabody awards. In 2000, AIMS introduced DigitalCurriculum.com, an Internet-based online streaming video-on-demand curriculum library. This online subscription service allows teachers and students full access to the AIMS educational video library via the Internet. This resource, combined with Discovery Education’s unitedstreaming video-on-demand service, increase Discovery’s total online educational digital video library offerings to over 35,000 standards-based, core-curricular video segments spanning all subject areas for kindergarten through twelfth grade, including social studies, science, history, geography, health, language arts, and math. Berkery, Noyes specializes in investment banking for the information, publishing and communications industries. Among the most recent transactions completed by Berkery, Noyes are the sale of the print-assets of Sheshunoff Information Services to AlexInformation and Shesunoff Insurance Solutions to Highline Data, Weaver Publications to Prospect Partners, LP, the divestiture of the McGraw Hill Companies’ Juvenile Retail Publishing Business to School Specialty, the acquisition by Taylor & Francis Group plc of Marcel Dekker, Inc., the sale of Cliggott Publishing and the Oncology Group to United Business Media and the sale of Forum Corporation to the IIR.